How to transfer files from old hard drive to new hard drive? If you are planning to upgrade a larger drive or replacing hard drive on your computer due to its non-functionality, less storage space, bad sectors in the disk, virus attacks, hardware problems or any other problem, then you are doing a perfect job to prevent yourself. Upgrading to a new hard drive will not only improve the performance and efficacy of your computer but it will also boost productivity. Therefore, you will need to copy all your files from your old drive to the new one, if you do not want to miss data of old hard drive. Changing hard drive is very easy, all you need to do is taking the old one out and plugging the new one into the same spot. But the daunting challenge is how to transfer all the existing folders and files from the old hard drive to the new one? Tip: One of the well-known approaches is to take the back up of all your files, folders and programs existing on your old hard drive and then restore them into new hard drive. If you are Windows user, you can use the Windows Backup utility to create back up of data. But this approach is not as simple as it seems. Follow the methods that will help you to transfer or move complete data of old hard drive to new hard drive. This method is used when you plan to install or start afresh your computer’s Windows OS. 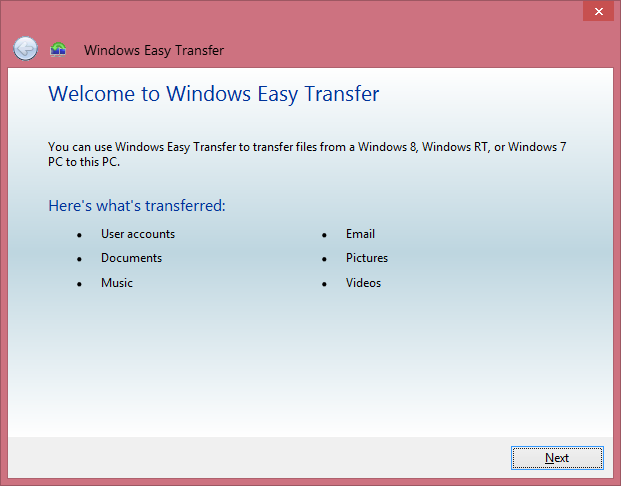 For performing the method with the help of Windows Easy Transfer, you require an external hard drive for transferring complete data such as documents, photos, videos, etc. from the current hard drive on your computer. Now, swap the old drive with a new drive and start copying the files, data, folders that you transferred to external hard drive. To do so follow the steps mentioned below to copy data from external hard drive to the new one. Step 1: Click Windows button on your keyboard and type Windows Easy Transfer and launch the tool. Click Next to proceed. Step 2: Select the attached external hard drive or USB drive as the target. Step 3: Select No for This is My New Computer and hit the install to external hard drive. Windows will start copying your data and related settings to the external drive. As you might have noticed that the above method is a bit longer as you have to transfer complete data of old hard drive to an external drive and then copy to new drive. If you want to skip the intermediate drive, simply connect the new and old drives together with the help of a USB-to-SATA-IDE adapter or cable, a computer or laptop hard drive enclosure that allows to hold the old drive and connect the same with the help of a USB cable. If you are using a laptop then you can opt for a hard drive upgrade kit which not only includes the enclosure but also a cloning software from the old drive to the new one. If you take into account this method then you will have two options: First, cloning the old hard drive and secondly, copying just the data. Step 1: Connect the new hard drive to the laptop with the help of USB cable. Step 2: Use the cloning software and clone the old hard drive onto the new hard drive. Step 3: Now, remove the old drive and install the new drive. Step 1: Place the new drive into the laptop or computer. Step 2: Now, install Windows OS onto the new drive and other applications on the new hard drive. Step 3: Finally, connect the old drive with the help of USB cable or enclosure and copy the data folders to the new one (for doing this you can consider using the Windows Easy Transfer utility mentioned in Method 1 above). All the preferred and tested manual methods are listed above. Using any of the methods, you can copy all your files and data from old hard drive to new hard drive very easily. But, to perform the manual methods you should be technically sound, otherwise, you might face Windows data loss issues. Want to avoid situations of data loss? Yes, you can with the help of Windows data recovery software to recover data from FAT and NTFS partitions which are corrupt, damaged, formatted and inaccessible. 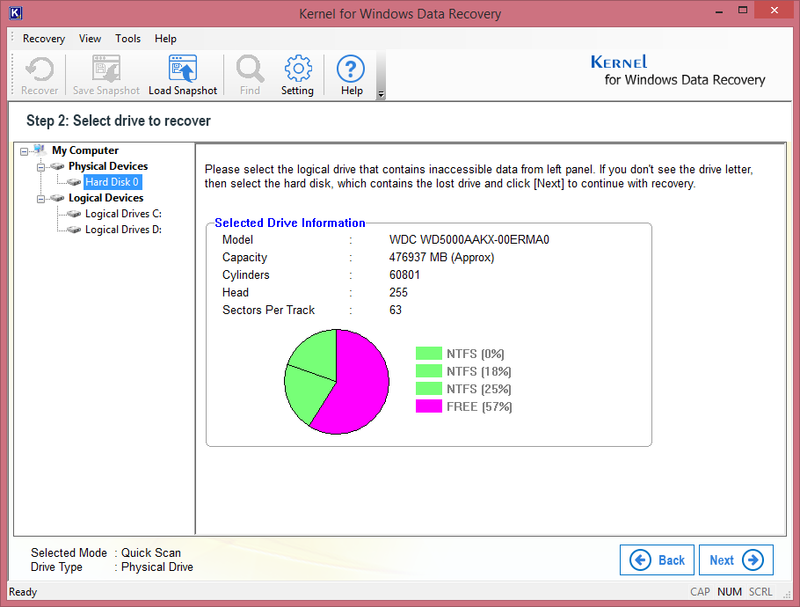 You should choose Kernel for Windows Data Recovery software, the most efficient and talk about the third-party application for recovering corrupted, deleted or damaged Windows data files, recovering accidentally formatted partitions, removable hard drives, and USB drives. Data transfer from an old hard drive to a new hard drive is a tedious task that requires deep technical expertise. Hence, we advise you to use the manual methods under the guidance of a Windows technical expert. If you have any questions and queries feel free to ask anytime.